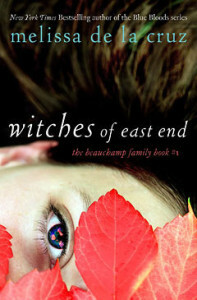 I’m currently reading Witches of East End by Melissa de la Cruz and Alliance by Mark Frost. I started watching the television spin-off of Witches of East End . It wasn’t great, but it wasn’t horrible either, so I thought I’d give the book a go. So far, I’m 8% of the way into the ebook and, like the television show, it’s entertaining, if not brilliantly executed. As for Alliance , the previous book in the series, The Paladin Prophecy , sucked me in right away, but this one is taking longer. Plus, I’m going to be really, really surprised if the hero still has a girlfriend by the end of the story, because, three chapters in, he’s just done something really stupid. I recently finished reading Cassidy Jones and the Secret Formula by Elise Stokes. There were a few awkward passages, notably the prologue (thankfully, it was short), but other than that, it was an enjoyable read. Aimed at the young teen crowd and (woohoo!) light on the romance, it’s a superhero novel with a detective feel. Next, I think I’ll read Fortune’s Pawn by Rachel Bach. I recently read The Spirit Thief , by the same author, and it was pretty funny. Think Ocean’s Eleven with wizards, talking rocks and a really big dog. 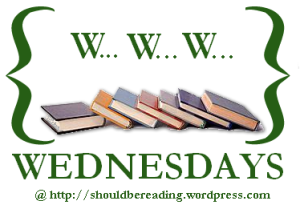 WWW Wednesdays is a weekly event for readers, hosted by MizB over at Should Be Reading. It’s easy, just answer these three questions, post your answers on a Wednesday and join in the fun by leaving a link on Should Be Reading! The questions. What are you currently reading? What did you recently finish reading? What are you reading next?